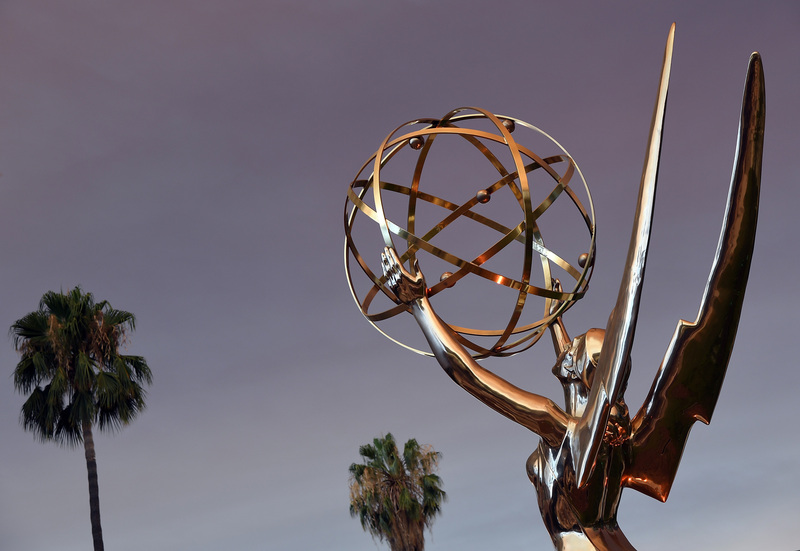 For TV fans, it's the biggest night of the year: the annual Primetime Emmy Awards. Created in 1949 to honor the best and the brightest in the nascent art form of television, the Emmys have since grown into one of the splashiest award shows of the year, one quarter of the coveted EGOT (Emmy, Grammy, Oscar, Tony), and the most prestigious prize a TV actor can receive. The ceremony, hosted by the Academy of Television Arts & Sciences, has changed a lot over the past 68 years as the art form itself has evolved… but it's still not perfect. Even now, there are rule changes the Emmys could implement to make TV's biggest night even better. This would be by far the simplest way to make sure fewer shows and actors are snubbed. Two years ago, the Television Academy expanded the Outstanding Comedy and Drama categories from six nominees to seven; there's no reason to stop there. Why not make it a nice, round 10? Three years ago, the Academy implemented the option of adding a seventh nominee in the Acting categories if that seventh nominee is within two percent of the vote of the sixth. Having a full 10 nominees in all 14 Acting categories might be a bit unwieldy, but why not at least make it so for a solid seven? Just think of the amazing shows that could have been represented at this year's ceremony if there had just been a few more slots available: The Leftovers, Outlander, Jessica Jones, Crazy Ex-Girlfriend, You're The Worst, Fresh Off The Boat… and that's just a very small sampling off the top of my head. A common complaint about the Emmys is that voters appear to nominate by habit, simply checking the boxes for the same shows and actors year after year. While this complaint isn't unfounded, it's perhaps more understandable when you take a look at the actual Emmy ballot itself. Spoiler alert: it's absurdly huge. There are currently no checks in place as to how many shows a given network can submit, so most networks tend to submit everything and cross their fingers — even if you and I and everyone knows which shows have zero chance of actually landing a nomination. On the official 2016 Emmy ballot, between the Drama, Comedy, and Limited Series category, there were 273 shows submitted for consideration. That is 66.7 percent — a full two-thirds — of the 409 scripted series that aired last year. Nobody has time to watch all of that. And that's small potatoes compared to the Acting fields; in those 14 categories, a mind-boggling 2,112 performances were submitted. It's not hard to imagine an Emmy voter taking one look at that ballot, their eyes glazing over, and then simply vote for a combination of their personal favorites and whatever they remember was nominated last year. Instead of this numbing free-for-all, the Television Academy should consider curating a smaller, more selective list that their voters will actually have time to read through and consider thoughtfully and watch any major contenders they may have missed. That alone would probably result in a more interesting, well-rounded list of nominees. With the explosion in the amount of television has come an explosion in the genres of television. So many more shows these days are blurring the lines between comedy and drama, and yet the Television Academy remains stuck in the past. By their definition, any hour-long program is a Drama and any half-hour program is a Comedy. But what about hour-long programs with heavily comedic elements like Glee or half-hour programs with heavily dramatic elements like Nurse Jackie? Under current Emmy guidelines, any network is allowed to petition to have a show's categorization changed. (This year, the likes of Crazy Ex-Girlfriend and Shameless were successful in being deemed Comedies despite running an hour long, while Orange Is The New Black was forced to compete as a Drama after its petition was denied.) But, this isn't a perfect solution; ultimately, every show is being forced into one of two restricting boxes that may or may not fit its true nature. Why not create a third category, where shows that defy genre can compete without being stifled? After all, half-hour dramedy Transparent and hour-long dramedy Orange Is The New Black have more in common with each other than Transparent does with fellow Comedy nominees like Modern Family, or OITNB does with Dramas like Game Of Thrones. Even if a third "Dramedy" category isn't created, the Television Academy should seriously consider splitting each field in half — one for long-form series of 14 episodes or more and one for short-form series of 13 episodes or fewer. One result of this era of Peak TV is that shows on broadcast networks have become increasingly shut out of the competition. But crafting a 22-episode season — the standard for broadcast programs — is simply an entirely different undertaking than crafting an eight- or 10-episode season for the likes of HBO or Netflix. Should Stranger Things, which you can sit on your couch and watch in one sitting like a long movie, really compete in the same category as The Blacklist, which has to sustain its storytelling momentum for nine long months? Maybe Parks And Recreation would actually have won an Emmy or two if it hadn't been competing for attention with short-form shows like Girls, Louie, and Veep. Even though the problem of the same shows and actors being nominated — or winning — year after year is one of the biggest currently plaguing the Emmys, it's also one of the hardest to fix. How do you tell Julia Louis-Dreyfus she's not eligible for another trophy after she's already won four for her terrific performance as Selina Meyer on HBO's Veep? The absolute strictest version of this rule change would say that, once a program or actor has won an Emmy three to four times, they are subsequently ineligible for consideration for the same series again. It's someone else's turn next year. Of course, this would likely result in a storm of outrage, but it would also allow more stars to shine. Even still, voters, nominees, and the public alike would likely bristle at the idea of there being some mandate on the number of times a person can win an Emmy. Perhaps rather than a written rule, it would be better if the Television Academy simply made it known that they strongly encourage actors to withdraw themselves from consideration after they've already won a certain number of times. Candice Bergen famously declined any future nominations after she won five Emmys for her CBS sitcom Murphy Brown; more actors and networks should be inspired to follow her example. If a side effect of separating the fields into long-form vs. short-form categories would be a split between broadcast and premium, why not go ahead and make that split official? I know, I know… the idea of holding a whole other ceremony every years seems crazy. But is it really that crazy? In fact, multiple Emmy ceremonies already exist. There are separate ceremonies for Primetime and Daytime television; the latter didn't spin off into its own thing until 1974. Additionally, both the Primetime and the Daytime Emmys actually have two separate ceremonies each — the main ceremony, which features the popular categories like Series and Acting, and the Creative Arts ceremony, which features the more obscure technical categories like Cinematography and Stunt Coordination. Maybe it's time for the Emmys to diverge once again; maybe the sheer amount of programming on television these days demands it. Just imagine: one ceremony honoring the best in broadcast (like ABC and CBS) and basic cable networks (like AMC and FX) and a second ceremony honoring the best in premium channels (like HBO and Showtime) and streaming services (like Netflix and Amazon). Suddenly there's a chance for everyone to grab the spotlight — without adding so many extra categories that the ceremony runs five hours long. Will the Television Academy implement any of these rule changes? They have a whole year to decide how they want to handle the glut of quality programming on TV these days. In the meantime, we have the 68th annual Primetime Emmy Awards to look forward to this Sunday, hosted by Jimmy Kimmel.